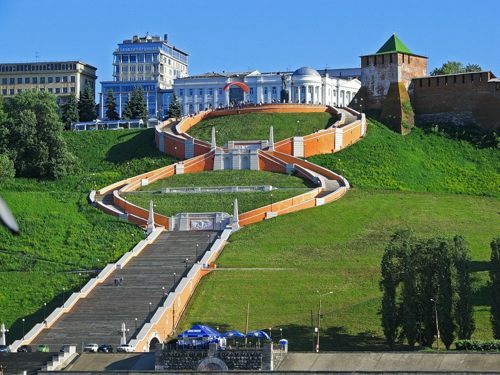 Nizhny Novgorod is a marvelous city rich with historical monuments. Each of them is uniquely beautiful and significant not only for the city's but also for the country's history. 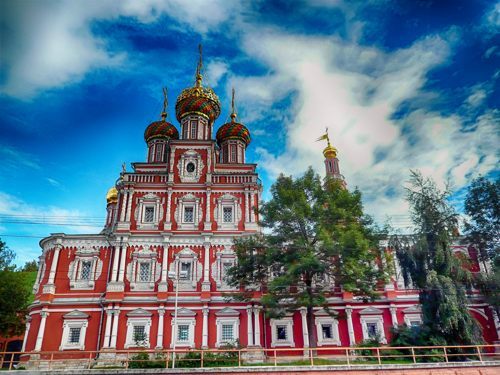 Hire a car with driver in Nizhny Novgorod and tell him to drive you to one of the fantastic stone cathedrals, the red brick Kremlin, the futuristic planetarium, the hyperboloid tower or one of the fabulous medieval monasteries. Once you appear in Nizhny Novgorod, you will see a fantastically harmonious city made up from different cultures, technologies, and eras. It's amazing how all these diverse pieces create a united beautiful urban landscape! There are also excellent restaurants in Nizhny Novgorod where you can enjoy tasty meals. Mitrich is a fantastic steakhouse. The Biblioteka offers Italian cuisine while at Pyatkin you can taste the best local Russian meals. 8Rental is the car rental with driver in Nizhny Novgorod service you should apply the moment you step into the city. Moreover, besides booking the car you liked the most, you can hire a driver that speaks your language beforehand. Just visit the website, get a quote and fill it out! 8Rental offers a line of advantages including reliable cars, skillful drivers, free fuel, medical insurance while you are driving in a vehicle of this service, etc. It's you who chooses the pickup and drop-off address, so have your car meet you right at the airport if you wish! 8Rental is the service which cares for all its customers and hence has acquired a large fleet of most various vehicles! Here you can find the model that best meets your status in the society, your preference and other requirements. This car supplier offers as cars on budget, so luxury ones who will make your transportation in Nizhny Novgorod amazingly pleasant and comfortable. Book an Audi A6 to impress your business partners, in case you are here on business, or rent a powerful BMW 7 to race on the city's roads as furiously as you love! Both models, as well as all others, are offered with high-end interiors and top grain leather upholsteries, Dual-zone Climate controls (automatic), installed audio systems, DVD and CD players and a series of other amenities. All these cars are in excellent condition! Driving in an unknown city is quite a difficult task. Surely your GPS will help you much, yet the little tension is enough to make you tired at the end of the day. By hiring luxury chauffeur driven cars in Nizhny Novgorod, meanwhile, you can freely enjoy the city's beauty from your car window worrying neither for the right way nor your safety! 8Rental drivers are professionals who are aware of all the roads in the city. You need to name the direction, and you will be carried there safely. Our drivers have great practice in transporting passengers. 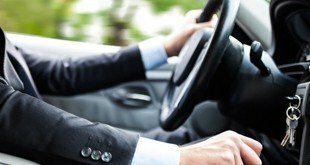 Besides requiring a driving license from every driver who applies for a job in 8Rental, the company also demands perfect recommendations from their previous employers. If you don't know Russian, no need to worry, as we also have English, Dutch, and French-speaking drivers.